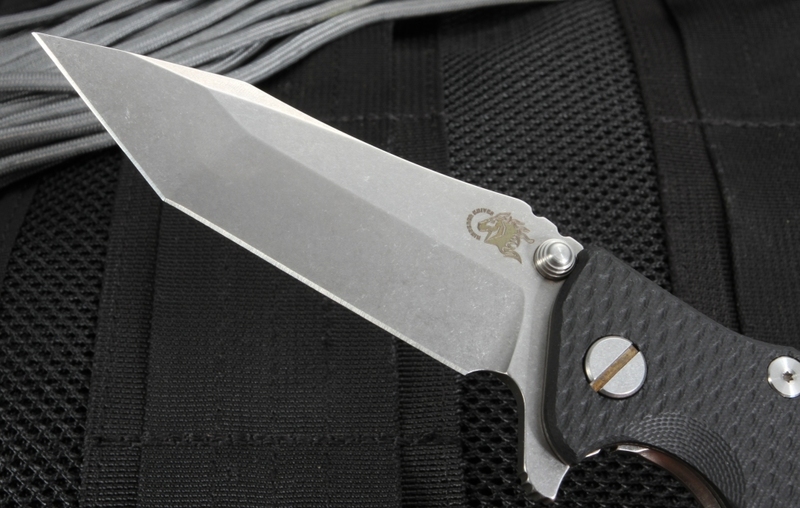 New Rick Hinderer Eklipse model in textured black G-10 and stone washed titanium pivot, spacers, screws, and clip. 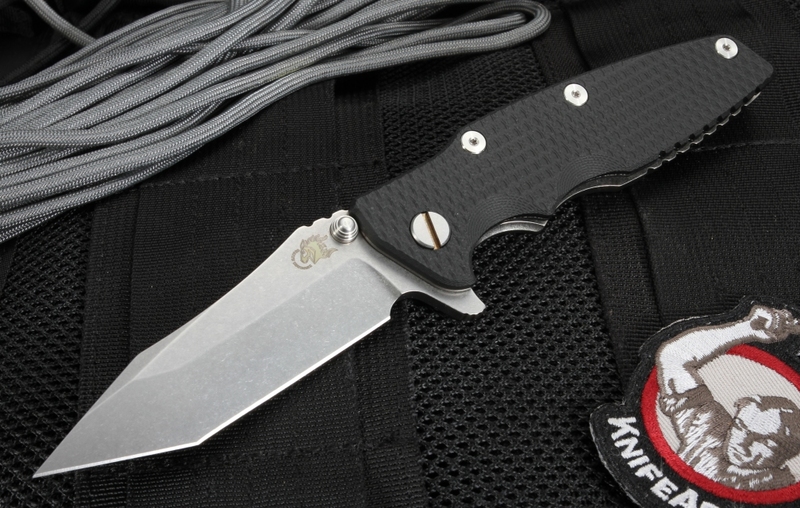 The tactical folding knife has a flat grind on the razor sharp stainless CPM-20CV stonewashed tanto style blade. Dual thumb studs and a flipper for easy right or left-hand operation. Flipper serves as an index finger guard in the open position. Filed thumb rest on the blade spine for a secure grip. 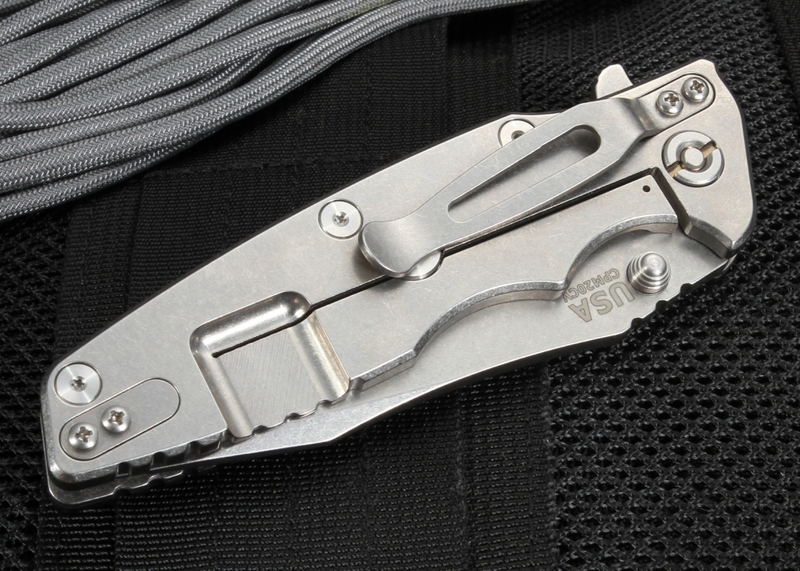 Stonewashed titanium pocket clip can be mounted blade tip up or tip down. 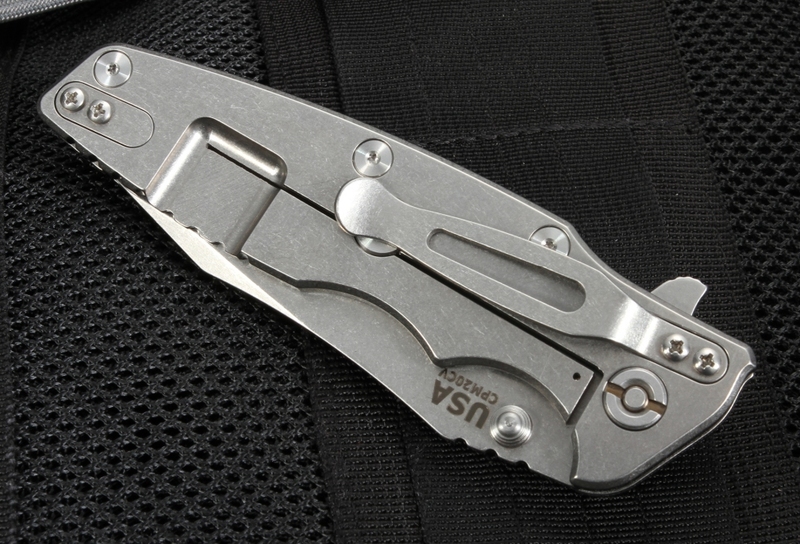 Solid frame lock design with a Hinderer lock bar stabilizer. Smooth opening and closing. 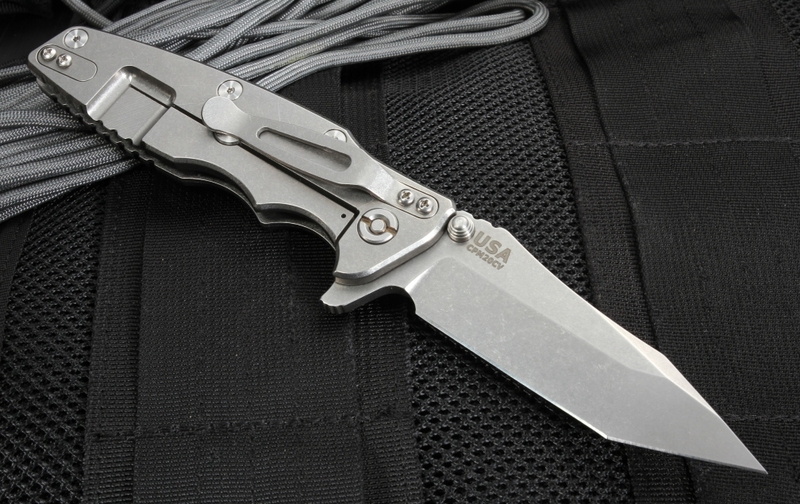 Great heavy use Eklipse tactical folding knife from the Hinderer Knives shop.